In a highly competitive job market, it is critical for recruiters to understand what software engineers look for. 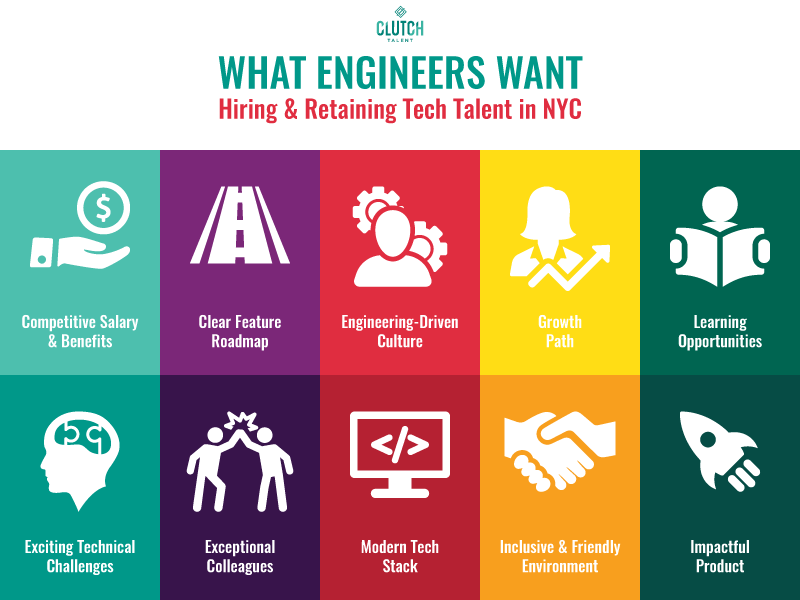 This allows us to effectively attract top tech talent. And, bringing an engineer into a new role is only the tip of the iceberg. It is just as important to also ensure that their position is the right long-term fit for their career. Employers and engineers, we would love to hear your thoughts!